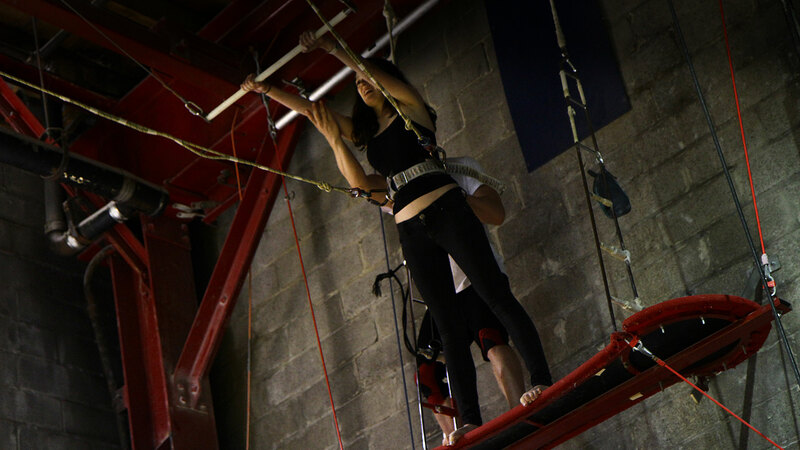 SLAM is the home of STREB activities. Open rehearsals, performances, STREB classes, and other explorations of action mechanics happen here daily. • a performance venue and a school that is open year round, seven days a week. 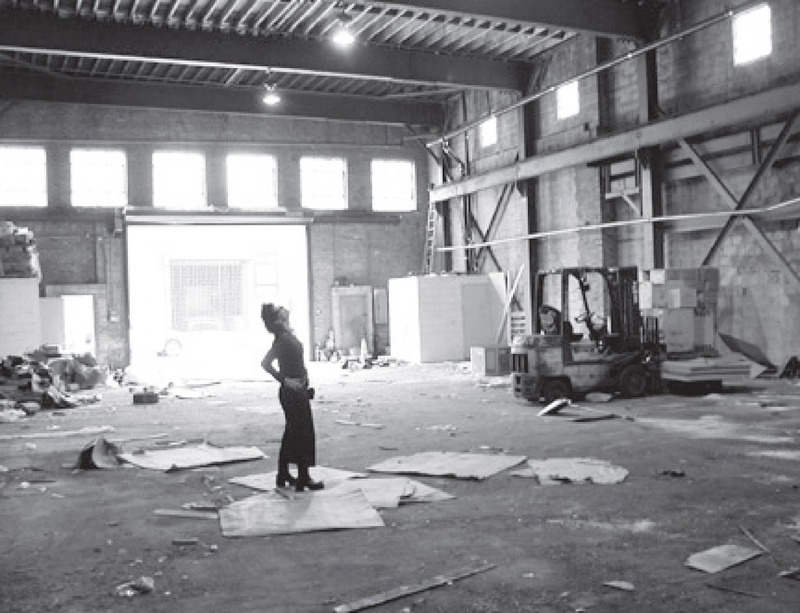 In January 2003, STREB moved into a then vacant former loading facility for the Old Dutch Mustard Company. While preserving both the space’s unobstructed dimensions (30’ high ceilings and 50’ x 100’ footprint) and physical character (exposed cinder block walls and steel I-Beams and a street-level loading gate), STREB transformed 51 North 1st Street into the STREB LAB FOR ACTION MECHANICS (SLAM), a multipurpose space which accommodates the company’s school, 150-seat performance space, rehearsal facilities, trapeze rig and administrative offices. Since opening, SLAM has become a gathering spot for exchange of creative ideas across cultures of kids, dancers, gymnasts, circus specialists and pedestrians. SLAM is a place to experiment, a place that examines the difference between public and private, a place that is all public, all the time. With unprecedented support for building acquisition from the New York City Department of Cultural Affairs, the New York City Council, the Mayor’s Office and the Brooklyn Borough President’s Office, the company purchased SLAM in November 2007. SLAM is a unique converted industrial space located in Williamsburg, Brooklyn. Its lobby, 24 foot high ceilings, 50 x 100 clear span space, and capacity to accommodate up to 150 people make it ideal for parties, film and photo shoots, product launches, rehearsals, auditions, performances. 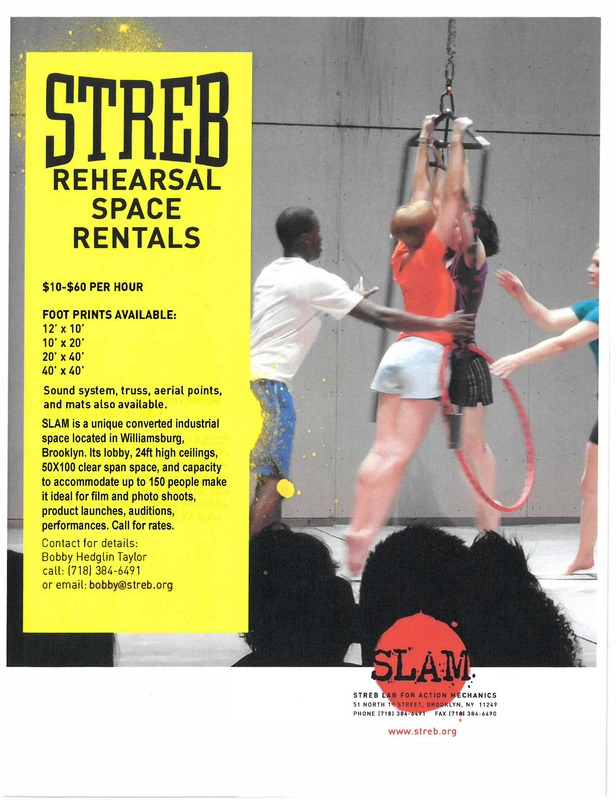 For rental information, contact bobby@streb.org. Celebrate your birthday (or any other occasion!) SLAM style! Explore time, space, shape, air, impact and energy in an invigorating and athletic way during your very own Action Event.